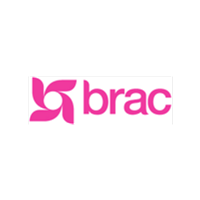 BRAC is the largest non-governmental development organisation in the world, measured by the number of employees and the number of people it has helped. BRAC’s Vision is a world free from all forms of exploitation and discrimination where everyone has the opportunity to realize their potential. In order for the poor to come out of poverty, they must have the tools to fight it across all fronts. BRAC has, therefore, developed support services in the areas of human rights and social empowerment, education and health, economic empowerment and enterprise development, livelihood training, environmental sustainability and disaster preparedness. BRAC operates social enterprises that are strategically connected to its development programs, and that form crucial value chain linkages to increase the productivity of its members’ assets and labor, and reduce risks of their enterprises. These enterprises, ranging from agriculture to handicrafts, also help to make BRAC increasingly self-reliant. Anjali Sarker is a Team Leader at BRAC Social Innovation Lab where she supports BRAC’s development projects and social enterprises to build sustainable business models. Her passion lies in combining business, design and social impact. Previously she was the launch leader of Ashoka and relaunched its operation in Bangladesh. She co-founded a startup that was featured in Forbes —Toilet+, when she was only twenty years old. She has spoken at two TEDx events in Hong Kong and in the Netherlands on social entrepreneurship. Young Professionals in Foreign Policy and Diplomatic Courier magazine have recognized her as one of the Top 99 leaders under the age of 33 in 2013. She is a Global Shaper at World Economic Forum and a New Voices Fellow with the Aspen Institute. She did her Bachelors in Business Administration from Institute of Business Administration, University of Dhaka and a Diploma in Social Innovation from Lund University. Shihab Quader, as Senior Manager for BRAC Enterprises, coordinates the strategic vision for a portfolio of 13 social enterprises with an annual turnover of USD 172 Million. He emphasizes on steering special projects and investments into thrust areas for these enterprises and reports on their operational and financial health to C-level executives. Previously he worked in implementing project governance structures for 19 government projects worth $113 Million in the United States. He further formulated market development and value chain enhancement strategies in emerging markets that benefited 40,000 under-served small business groups at Swisscontact Katalyst, the world’s leading market development project. He holds an MBA from the University of Massachusetts. He is an avid cook and an ardent follower of sufi music worldwide.